Acting Manitou Nights and Chicago the Musical! We are so excited to announce our first three Acting Manitou Nights of 2015. Each of these unique events offer an opportunity for alumni to gather, parents to meet and share their own stories and most excitingly for new and potential campers to meet others campers as well as directors from Acting Manitou. As each of the events is different check out the details below to see which one you would like to attend! RSVP's can be made through the links provided or by emailing chris@actingmanitou.com. Perfect for prospective campers and their friends, join us for an evening of fun, games and memories with Steve Borowka and Chris Murrah! Reunite with camp friends and share the excitement of camp with other friends who are interested in a summer of amazing theatre and excitement in Maine! Bring your friends and your best game face! Chris has been busy devising an evening activity just for this event! Join us for a night of theater and fun as we reunite our community and celebrate at the Brearley School's production of West Side Story! ***You MUST Reserve Tickets through the email. We advise ASAP. 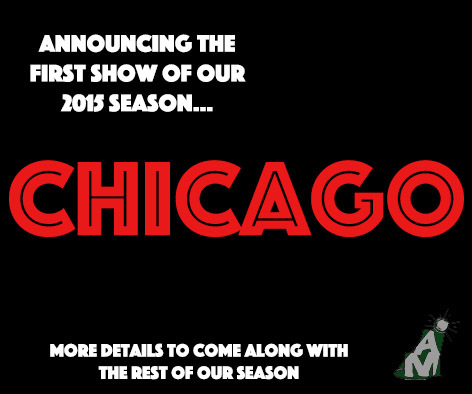 The excitement we feel at announcing Chicago as one of our amazing shows this summer can NOT be contained! After years of hoping, the reality is upon us. Filled with amazing music, thrilling choreography and a story sure to intrigue, Chicago has set the bar high for our 2015 directors and creative teams! We cannot wait to announce the rest of our season in March so please look for more in the coming months.